Like many other etsymetal jewellers this month's challenge produced a glut of ideas. 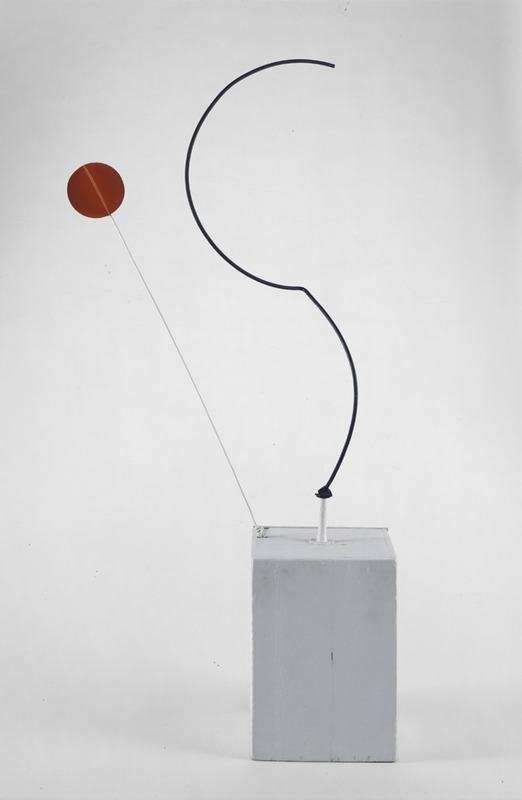 Alexander Calder's work perfectly expressed form, balance and joy and with this in mind I went searching for his beautiful mobiles. When I saw this perfectly poised piece I instantly saw a pair of kinetic earrings. Bench cleared, radio turned up - BBC Radio 6 is my current favourite - I made these pendulum earrings in one long afternoon session. They are sterling silver, etched and oxidised with a punctuation in red enamel. The pendulum is in two parts and swings as you move. I'm smitten with them and have kept these for myself. I hope to make some for my shop later in August, what do you think?